A project we completed this week for a medical surgery was to help them comply with modern HIPPA codes that many AHJ's (Authorities Having Jurisdiction) are requiring medical surgery centers, across the country to comply with. 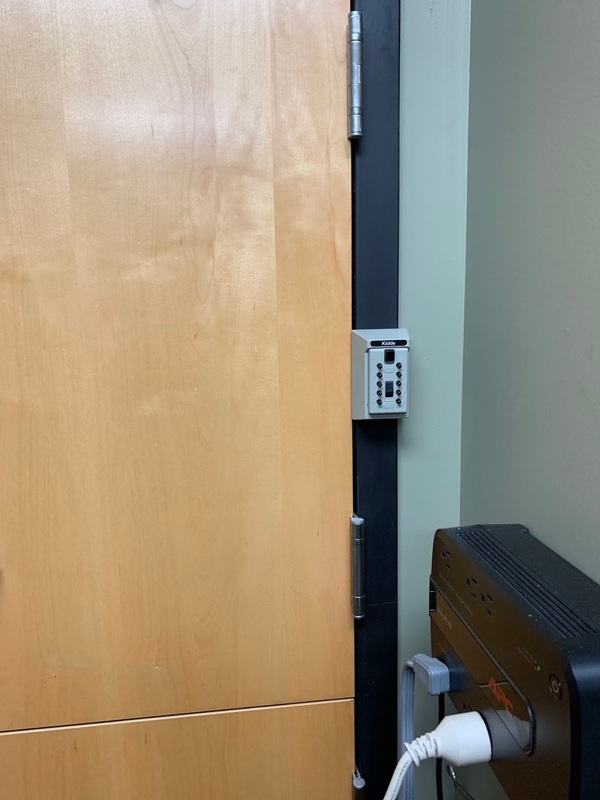 The call was received to find suitable and cost effective locking solutions to secure cabinets in patient examination rooms that hold drugs and supplies that need to be secured from unauthorized access. 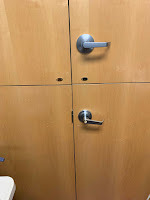 Also requested was a solution to secure a set of double doors on a closet used for the centers computer server. The double door closet was unusual because the doors had been split in two, effectively creating four (4) separated leaves. We suggest this was done to minimize the space being used inside the server room, which also doubled as another patient examination room. 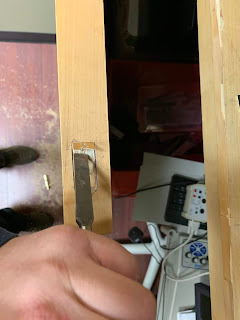 Installing the ERA bolt, which is a door security bolt that uses a standard STAR type key and mortising it into the bottom of the upper door, allows a simple method for connecting the top leaf to the bottom leaf. The upper leaf on both sides already have roller bolts that hold the top leaves into the steel door frame. 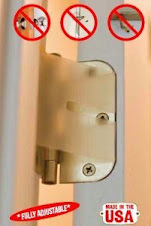 The ERA bolt is a simple install into the bottom of the upper door on both sides. The bottom leaf of each door already had flush bolts installed to connect the bottoms to the floor beneath, so all that was required was a simple solution to connect top and bottom leaves. Many other technicians choose to use surface mounted barrel bolts that sit on the inside surface of each door and while this is a simple and cost effective solution also, it means a user is required to reach around the rear of each door to operate the barrel bolts. 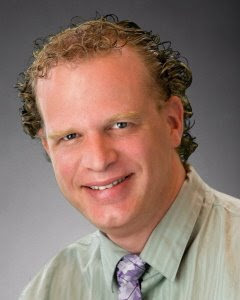 The ERA bolt solution allows front operation using a standard key and is painless to perform easily. In the first image above, you can see we installed a lever storeroom lock to match the upper door. 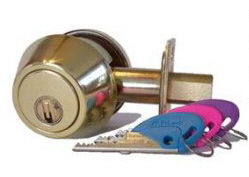 Use of the locks individual key is required to open the lock and the handle cannot be left unlocked. 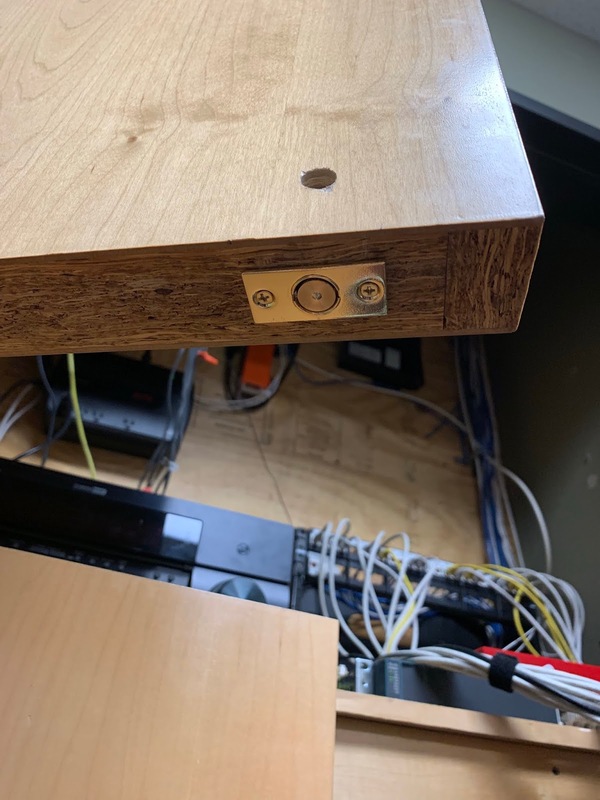 rather than simply providing the operating key to the authorized computer server technician, we decided to install a Supra mechanical combination key box to the metal frame of the door, to house the operating key. 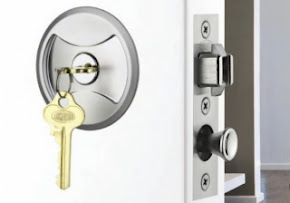 This onsite container means that the server technician is not responsible for possessing the operating key and potentially losing it, requiring the lock to be rekeyed. A user with the combination can access the mechanical key box onsite to operate the door lock. This also offer a significantly inexpensive option to battery operated door locks that require the constant need to replace batteries. The actual original request was to install cupboard locks to selected cabinets. 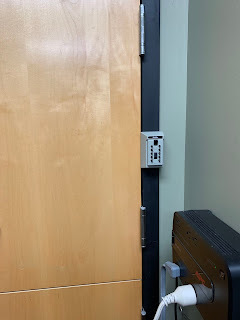 We used CompX Double Door Hidden Cupboard locks to provide simple security to double door cabinets and simple cupboard locks on cabinets in each patient examination room.